What is “Air Fiber” Internet service that you offer? Our Air Fiber Internet is a Fixed Wireless (requires clear line of sight) high speed broadband Internet access service that uses fixed location microwave radios on a tower (that could be a tower, tall building, or mountaintop) instead of phone or cable to bring high speed Internet access to your location. This service is suitable for home and business use and is similar experience and performance to Fiber & Cable Internet services (high speeds, stable low ping times) and superior to DSL, Cellular, or Satellite (lower speeds, low monthly data limits, unstable or high ping times). 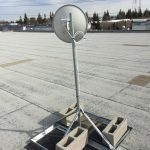 A small antenna 6-14″ (smaller than satellite) is installed on your roof with an attached low power radio receiver/transmitter and connected via an outdoor rated ethernet cable that also provides power to the radio via POE (power over ethernet standard). This antenna is pointed at a nearby Access Point tower (usually 1-10 mile away). When you send and receive information over the Internet, it goes over the wireless link from your radio/antenna to our Access Point. From there that information travels over our faster FCC licensed frequency wireless or fiber optic “backhauls” eventually connecting to Enterprise grade fiber optic connections. Due to the design of our network, even if a local area major fiber lines are cut our wireless core network reroutes traffic around the outages via our private wireless network to keep your connection up. 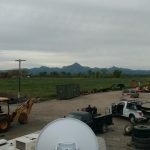 With speeds up to 500 Mbps in both directions and ping times in the 5-25ms range, Fixed Wireless Broadband does not require a cable connection or even a telephone line. It is resilient and reliable even during rain storms and typically affected only slightly by weather (5-10%). We provide all the equipment, cabling and installation at your location. Our Wireless Broadband is compatible and well suited for use with Streaming TV, VPN’s, VOIP, Static IP’s, Online gaming, Macintosh, Windows, Unix, Xbox, Smartphones, iPad, Android, etc. What is “latency” and how does it affect my internet service? Latency (also known as ping time) is a term used to describe how long it takes a “packet” of information sent from your computer to a server on the internet and back to your computer again. This measurement is vital to a network because it can significantly slow down your top speeds and severely affect services such as VOIP, Voice Chat, Online Gaming, Remote control computers, Virtual reality, Video Conferencing, etc. Satellite and cellular based internet typically has delays commonly in the range of 300-900ms while our fixed wireless internet service has average ping times typically under 30ms. Is your wireless the same as “satellite” Internet? No! Wireless Internet is true high speed broadband unlike satellite solutions that have slower speeds, slow uploads, very high ping times. Satellite connections are poorly suited to internet access with pings times ranging from 500ms to 900ms making any interactive Internet application unusable (games, telephony, webcams, VOIP, etc). This is because of the distance the data has to travel back and forth from outer space is a physics limitation. Our wireless Internet services typically have less than 5-25ms ping times, high or unlimited monthly data caps, and is more like cable or fiber internet than the poor experience of Satellite Internet. Does weather affect the Wireless Internet service? Weather will not cause a degradation of service except during some severe storms. It is less affected from rain than a satellite dish. Your connection will normally remain stable during winter months or other stormy periods. Once a year severe rains or winds that are continuous over several days may cause some degradation of service but most customers experience a 99.9+% uptime. 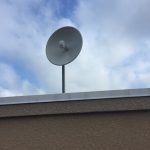 Wireless Internet access requires a “line‐of‐sight” connection from your structure to one of our towers. This means that any large trees, buildings or other obstructions may cause a degraded level of service. The most common cause of service quality degradation is trees growing into the line-of-site between your radio and the tower or antennas getting out of alignment due to high winds. 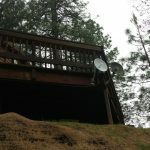 How does the wireless signal and Internet get to me? – Succeed.net connects to the internet through a high speed fiber connection connected directly to the fiber backbone that runs through California. – This high speed connection is then distributed via wired and wireless connections to our many wireless towers reaching from Orland to West Sacramento, Rancho Cordova, Roseville, Yuba City, Williams to Oregon House. See our Air Fiber coverage map. 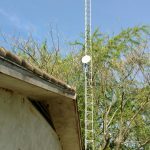 – The wireless transmitter/receiver installed at your location creates a secure connection with one of our wireless towers bringing the internet to your location. – The internet connection in to your location will function just as if you were plugged into any normal network, providing you a secure and high speed connection that you are then free to distribute to the devices at your location via a wired or wireless router. How secure is the signal? We employ various security measure with all of our wireless networking equipment to encrypt your communications throughout our network. 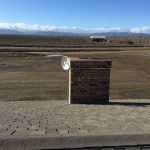 The security of our wireless network starts with WPA2-AES encryption coupled with proprietary outdoor optimized wireless data packets between your radio and our tower along with other security measures and authentication methods to ensure that only authorized devices are allowed access to the network. AES is a more secure encryption protocol introduced with WPA2. AES isn’t some creaky standard developed specifically for wireless networks, either. It’s a serious worldwide encryption standard that’s even been adopted by the US government. 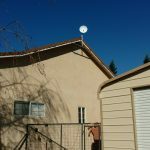 How is the installation of your wireless Internet service done? Succeed.Net professionally mounts an antenna and radio (most of the time this is a single unit) on your roof, then runs an outdoor UV rated gigabit capable CAT 5e Ethernet cable down the outside wall of your home or business (we try to follow a path to hide the cable and look good cosmetically). 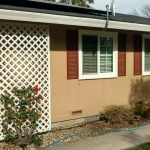 We then bring the wire into your home by drilling a small hole or following an existing entry into the home such as a duct or prior cable, phone or satellite TV installation entry. This hole is weather sealed and includes a grommet. The Ethernet cable going into the house is terminated with a CAT5e cable end to connect to to a POE (Power over Ethernet) injector. A standard Ethernet patch cable is then connected between the POE device and then directly to your computer or your router. If you need additional inside wiring to extend the connection into your home, you may need to hire a wiring contractor or may want to consider using a WiFi router (available at computer and electronics stores). We also offer managed WiFi system from us for $10 / month (per 2,000 sq ft) to distribute your new Internet connection throughout your home or business. The antennas range in size from a small 4″ x 12″ panel to a 18″ dish depending upon your distance from the access point. They are all very lightweight, super low power (~9-18 watts) and are easier to install than a TV satellite dish. No, a phone line is not needed . The Wireless Internet connection is bi-directional, meaning your Succeed Internet service is a complete broadband solution. You can also replace your land line phone system with less expensive VOIP service. Or even just get one of our inexpensive call forwarding services such as our home-to-cell service for only $9.99 and drop your home phone service but KEEP YOUR PHONE NUMBER and start receiving those calls on your cell phone and save $40/ mo or more. How does Succeed bill me? Succeed, Inc bills by credit card or ACH (eCheck). Succeed automatically debits your credit card or bank account every month for the cost of your service and will send you an email invoice/receipt of your payment. Succeed, Inc bills accepts credit cards, ACH (eCheck) is PREFERRED, or Company Check and will send you an email invoice/receipt of your payment. Paper invoicing is also available for an additional $2/mo fee. Past invoices and payments are available for review at any time on our customer portals for all accounts. You can also change update your credit card or switch to ACH billing online.